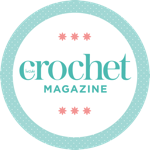 Question Time: Win a 1 year digital subscription to Inside Crochet! We have a fabulous collection of books to giveaway... keep reading for more information! Tell us your thoughts on this month's topic for a chance to win a 1 year digital subscription to Inside Crochet magazine.